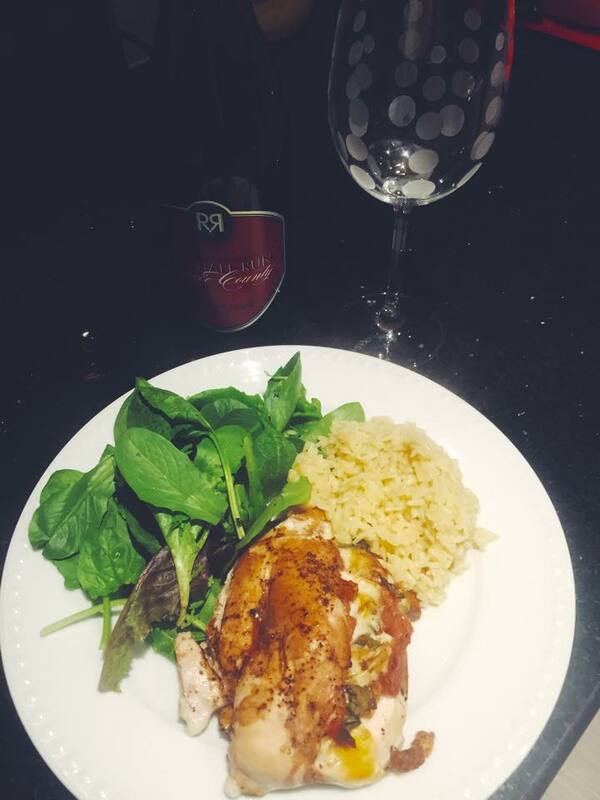 Caprese stuffed chicken breast with spring greens and garlic herbed rice. This beautiful creation came from Pinterest and really interested me because caprese salads are one of my favourite things this world has. There’s two ways to do this. If you have a masher or scallopini tool to hammer the chicken breast flat, it’s easier to just put the ingredients on top and roll the chicken around it, like a tac o. Since I don’t have that masher, I sliced the top of the chicken to create a flap that can be pulled back. I then stuffed the breast with bocconchini, sliced tomatoes, and basil. 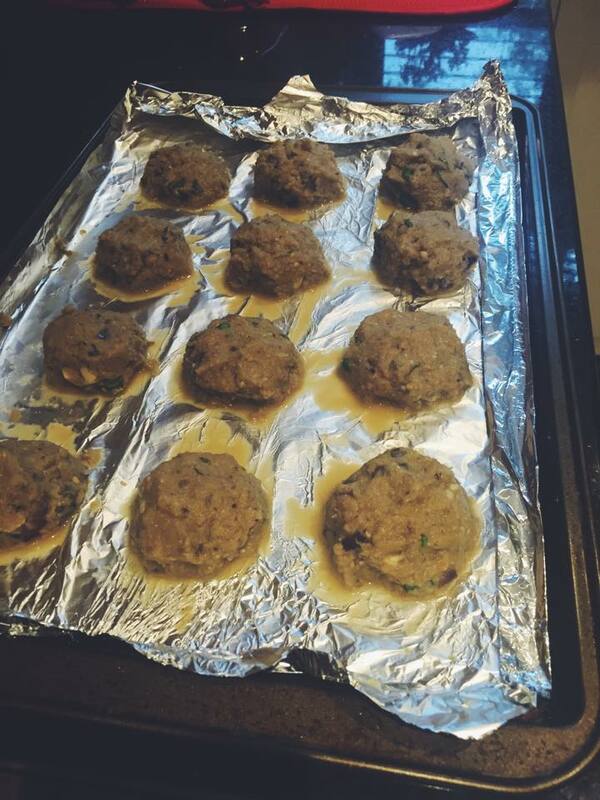 I then drizzled them with balsamic vinaigrette and topped them with some salt and crack pepper. I baked them in the oven for about 35-40 minutes, and topped them with a bit more pepper. They turned out perfect! The cheese was oozing and the basil, tomato and balsamic flavours soaked through the chicken. 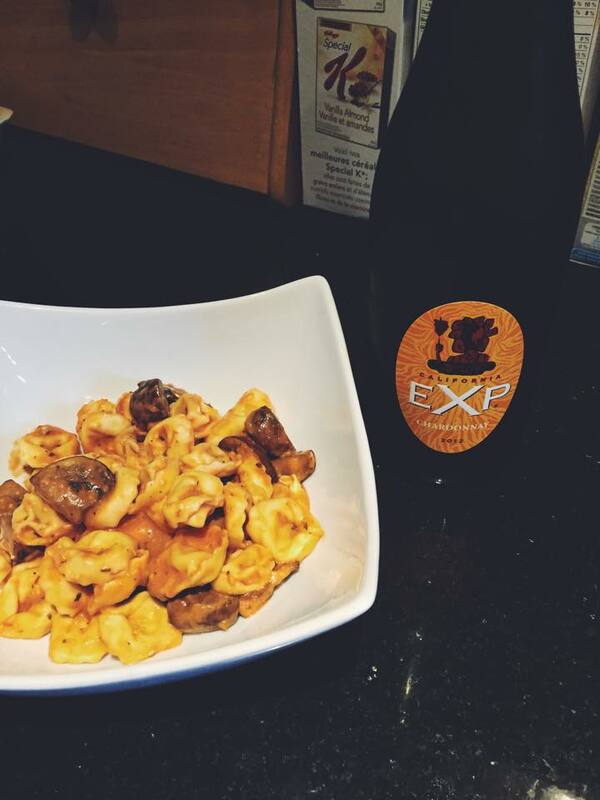 Rosé tortellini with sautéed truffled cremini mushrooms and ExP Chardonnay. I’m always down for tortellini, but this was a night I decided to use some truffle oil! I told my boyfriend he’s spoiled because I won’t be using it often. Its about $30 for a small bottle, if it’s good quality white truffle oil. I bought mine at Kingston Olive Oil Co. and will get it there again when I need more. I sautéed the cremini mushrooms in the truffle oil for a short period while cooking the tortellini and heating the rose sauce. I used some tomato sauce, added some heavy cream and garlic and continuously stirred until the sauce was a consistent colour. I then paired this dish with ExP Chardonnay from California. 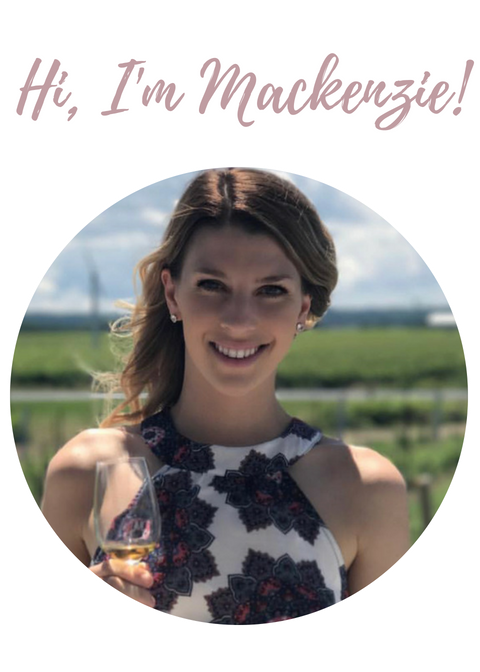 This Chardonnay is buttery and delicious (my favourite) and actually paired nicely with the creamy dish. Mushrooms are usually very hard to pair with, but because this dish featured a cream sauce, it worked well to have it with the oaked Chardonnay. 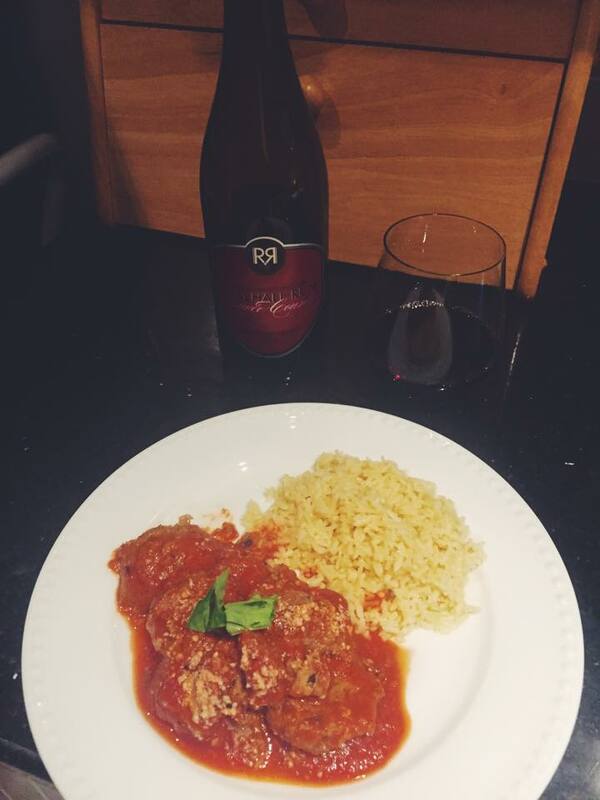 Eggplant parmesan meatballs with Rosehall Run Cabernet Franc. on a baking tray (on aluminum foil or parchment paper) and placed in the oven for 20-25 minutes. Once the meatballs are done baking in the oven, they’re placed in a skillet with tomato sauce and basil. I added garlic and pepper to the sauce. 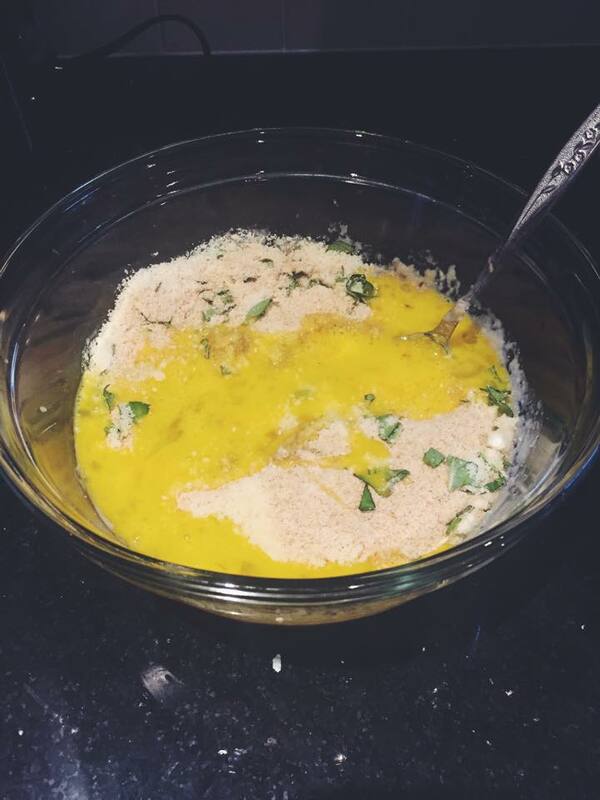 Parmesan cheese is then sprinkled overtop of the sauce and meatballs. Next time, I’m definitely putting these on top of spaghetti, because they tasted like actual meatballs, which was amazing! This is a great meal when it starts to get cooler outside and you want something hearty. This paired nicely with the acidity of the Rosehall Run Cabernet Franc. I’m not a huge fan of Cabernet Franc on its own, but the slight acidity in the tomato sauce balanced well with the acidity of the Cabernet. Mediterranean chicken thighs with feta and red onion salad with balsamic vinaigrette. 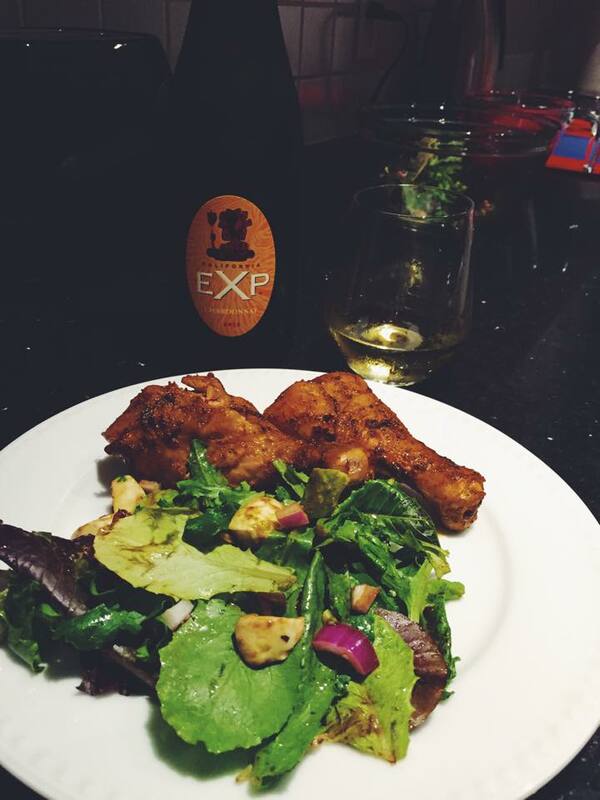 Since they say the Mediterranean diet is the healthiest to have, it was a no-brainer to get these spiced chicken drumsticks. They were so juicy and flavourful and went nicely with a fresh greek-like salad. I paired it with the ExP Chardonnay again, but for something like this, I would have a refreshing Pinot Grigio. The chicken had a bit of grease/oil and would’ve been cut nicely with a Pinot Grigio. There wasn’t quite enough going on in the dish to enjoy the Chardonnay as much. 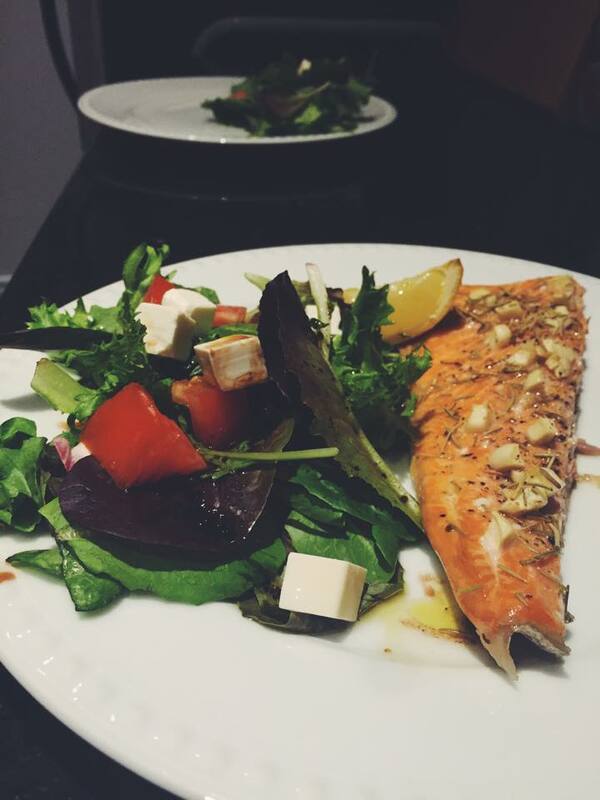 Honey garlic and rosemary salmon with a tomato, feta salad. Again, on that Mediterranean diet, this seemed like a healthy and fresh dinner. I didn’t pair this with a wine that night, but would’ve paired it with a Sancerre (light and refreshing with fish), or even a Sauvignon Blanc would’ve added some interesting flavours. The honey on the salmon adds an element of sweetness, so a riesling would pair well also. 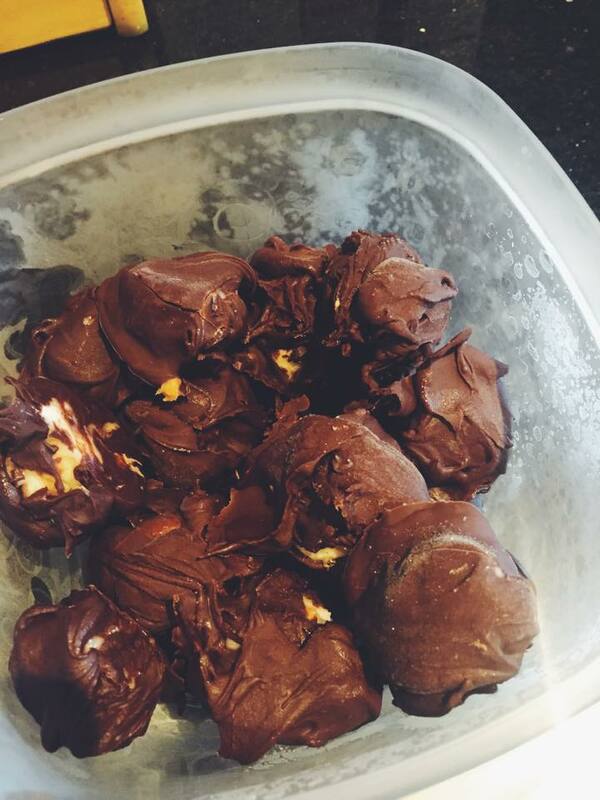 Frozen chocolate and peanut butter banana bites. These turned out really well and lasted us a while, because you keep them fro zen, but they were really hard to work with. You slice up three or four bananas (depending on how many bites you’d like to make), cover half the banana slices with peanut butter, then cover them with the other banana slice. Place these in the freezer for 1 hour. Here’s the tricky part, after melting the chocolate, you have to dip the frozen bananas into the mixture and get them fully covered before the bananas thaw out and before the chocolate hardens. What I found easier was to put the bananas back in the freezer if you need to melt more chocolate or find they’re almost impossible to work with (and none of the chocolate is sticking). I ended up covering half of them and placing them in the freezer while I worked on the other half. I also added peanut butter chips with the chocolate chips for extra peanut butter goodness. It’s also important to melt the chocolate in a bowl, in a pot of boiling water. Then, using two forks, you can roll the bananas in the mixture and ensure they’re fully covered and placed back on the tray. They need to be in the freezer for 3 hours before serving. I found it best to leave the individual bites you’re eating out for 10 minutes before eating them, or else it hurts to bite into them.